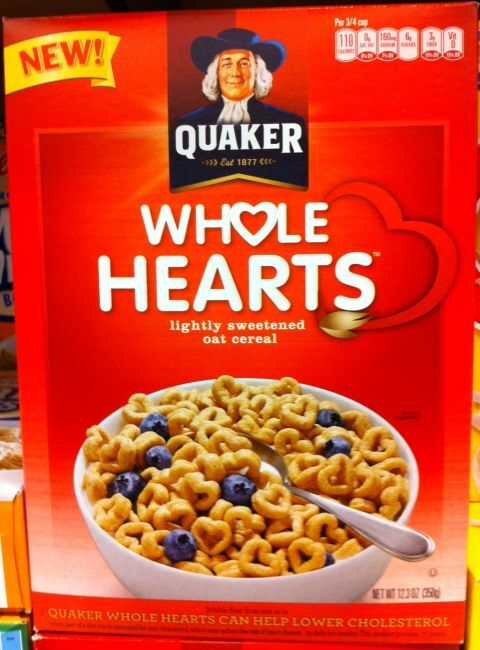 Quaker Whole Hearts can be the alternate Cheerios from what I have heard. Another one that I have not tasted yet, but I do have testimonial from a friend that they have been using them instead of Cheerios for their toddler. I think the cool heart shape can be a winner for the kids, and sometimes you need to have an alternate to the norm which in our house was Cheerios. My question is with the “lightly sweetened” message on the box, does this mean that an adult would want to eat them as a regular breakfast cereal, because I am sorry I can’t really eat Cheerios in a bowl with just milk. I am also going to say that when the kids grow out of having Cheerios in a bag for snack, that something that is a bit sweeter, but healthy, like Quaker Whole Hearts may be up to fill that role. This is one I really should already have in our kitchen, we have to step up our game. I HAVE A GREAT GRANDDAUTHER AGE 11 WHO IS ALLERGIC TO SOY, WHEAT, DAIRY, ETC. THIS CEREAL IS PERFECT FOR HER. WHERE CAN I BUY IT IN MARYLAND?